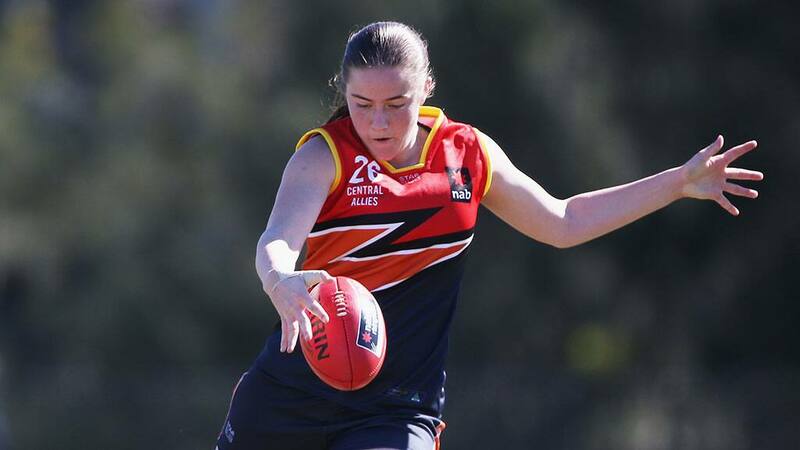 ADELAIDE AFLW recruit Katelyn Rosenzweig will pay tribute to her late friend and former teammate Maggie Varcoe by wearing the No.1 guernsey with the Crows. It's the same number Varcoe – the younger sister of Collingwood midfielder Travis – wore playing for Angle Vale before she tragically died following a head clash in the division two Adelaide Football League grand final in August. Rosenzweig played alongside Varcoe at North Adelaide in the SANFLW and wanted to do something to honour her memory. "To have No.1, after everything that happened with Maggie, it's an absolute privilege. The number means a lot to me and I will be playing every game for her in this guernsey," Rosenzweig told afc.com.au. "I knew the moment I got picked that Maggie would've been so happy and proud, because she always was. "She taught me a lot about football and life in our car trips to and from footy and I'm so thankful for being able to know her." NAB AFLW DRAFT Who did your club select? Rosenzweig was selected by the Crows with the 41st overall pick in the 2018 NAB AFLW Draft. Fellow draftees Chloe Scheer (No.4), Hannah Martin (6), Nikki Gore (7) and Danielle Ponter (15) were also allocated their guernsey numbers, while Maisie Nankivell (12), Ailish Considine (16), Sophie Li (19), Jessica Foley (24) and Renee Forth (27) round out the new additions.